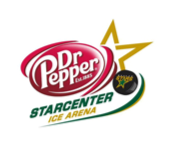 “The owners of the Dr Pepper StarCenter-Valley Ranch had a looming – but not uncommon – decision to make; one that is similarly faced by many facilities across North America: should they continue spending more and more money each year towards the upkeep and repair of an increasingly unreliable boiler, or should they invest in a new system and position themselves for decades of cost efficient, eco-friendly and reliable operation? Blackall Mechanical, Inc. partnering with Eco Smart Energy, LLC, provided a solution that made the decision easy. 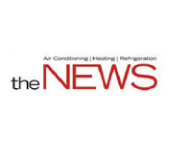 Blackall Mechanical installed an engineered hot water system that provides all the hot water the Stars Center needs and is doing so at a fraction of what it used to cost. The system operates with little or no attention required. Maintenance costs have virtually disappeared. We have considerably reduced the annual gas consumption and we are using the power of the sun to provide our hot water requirements, how much more environmentally friendly can you get? Also, by utilizing solar technology, we were able to take advantage of a 30% Federal Tax Credit. Just another benefit that helped make our decision easy. “I am writing to recommend the services of Blackall Mechanical Services. I have been using Blackall Mechanical for my HVAC maintenance contract services for the past year and a half and have always been completely satisfied. 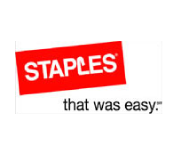 They do an excellent job, are always punctual, and offer the most competitive rates in town. 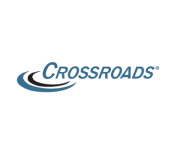 we have also hired them on several occasions outside of our contract agreement for extra jobs, such as purchase and installations of new HVAC unit, parts and additional repairs. They have been very reasonably priced, and have done exactly what we’ve asked of them. 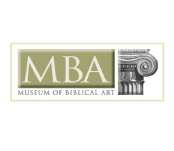 We were honored to receive your gift of $595.42 for the Museum of Biblical Art – a refund of your invoice #24215 in the same amount – a gift from your company toward our general operations. R.J. Machecek, museum co-director, also told me of your commitment to try to do this annually. What a blessing to our museum since maintenance costs for so large a building are always high! Looking on your web site – I noticed the company had over 100 years experience and was a finalist for National Contractor of the year! 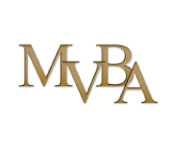 You should be proud of these accomplishments, but I would say that we are proud to have you as a friend of the MBA. We are so thankful that you care enough to share of your hare-earned assets with us – as we head into our 3rd year in business after the fire destroyed the museum. Each and every donation is important to us. The fact that we were able to re-open after the fire is a tribute to so many who believed in a place of beauty that honors the story and art of the Bible – but also a place that uplifts and brings comfort to people from all over the world. This letter is written to express our complete satisfaction with the services delivered by Blackall Mechanical in servicing our HVAC systems and plumbing needs. Currently, Blackall Mechanical provides our firm with HVAC preventative maintenance and repair on our 8 roof top units. They also provide our company with plumbing services when needed. Blackall Mechanical delivers all services in a professional manner, within a predetermined time line and at a predetermined cost.